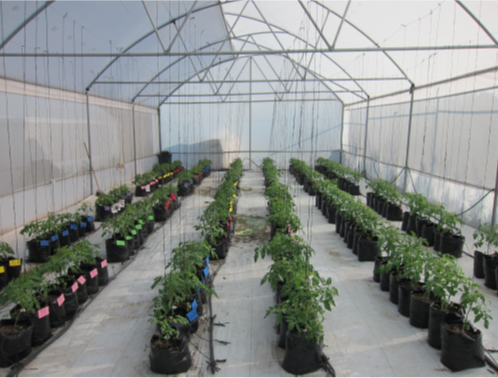 This research Project is focus on the development of computer vision methods, to detect tomatoes, and segment foliage in a green house environment. We created a mannually annotated dataset, tomatoes, and pixelwise foliage, in order to develop the needed methods. Several descriptors are tested, including, HOG features, LBP, statistical analysis, and machine learning by using an SVM. To investigate invarian representations of plants in green houses environment, to detect and segment foliage. To create a dataset of manually annotated images, to train and test new methods. To carry out an comparative analysis of several state of the arte methodologies, to segment foliage and to detect tomatoes in realistic environment. To develop efficient image processing algorithms to detect and count tomatoes .